Rodo was born in Montenegro—former Yugoslavia, now many small countries. His family fled to Austria and later immigrated to the United States. Rodo speaks, reads, and writes Serbo-Croatian (formerly the name of the many languages of former Yugoslavia), German (formerly two countries north of the former Yugoslavia), and is working on English. Rodo is a Phoenix, Arizona writer, teacher, trainer, and translator. 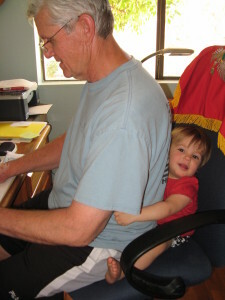 He has over 45 years of business, education, and community experiences. He’s held positions as diverse as bank vice president, executive director of Phoenix Habitat for Humanity, chair of various local, state, and national organizations, and member of many boards, task forces, and committees. Most significantly, Rodo has been a husband (40 plus years to the same patient lady), father of four terrific and diverse kids, and a grandfather of two. For eight years Rodo was the program director for AZ LeaderForce. AZ LeaderForce brings together political, business, faith, and other community stakeholders around quality of life issues in our state. AZ LeaderForce builds the capacity of community-based organizations by training and developing leaders that make a direct impact on the stability of nonprofit organizations and the quality of life in our community. Rodo has also developed and presented courses in ethics, diversity and inclusion, leadership, and critical thinking for a number of universities, business, nonprofits, and other organizations. As a private sector volunteer, Rodo has been involved in policy research and formation, in the area of workforce development. Elected national Chair, he worked closely with the National Governors’ Association, Departments of Labor and Education, members of Congress, public and private economic development organizations, and numerous workforce development and education agencies from the local to the international levels. In addition to a degree in psychology from Cornell University, Rodo has a teacher certification from Cleveland State University, and an MBA from Arizona State University. 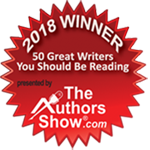 Rodo was recently selected as one of the “50 Great Writers You Should be Reading” by The Authors Show. Polly and the Peaputts and Polly and the Peanut Pull win awards!! Both books also received the Readers’ Choice top Five Stars designation.